A study on the primary vs. secondary market gives information on the various aspects of the capital market trading. Both the primary market and secondary market are two types of capital market depending on the issuance of securities. The primary markets deal with the trading of newly issued securities. The corporations, governments and companies issue securities like stocks and bonds when they need to raise capital. The investors can purchase the stocks or bonds issued by the companies. Money thus earned from the selling of securities goes directly to the issuing company. The primary markets are also called New Issue Market (NIM). Initial Public Offering is a typical method of issuing security in the primary market. The functioning of the primary market is crucial for both the capital market and economy as it is the place where the capital formation takes place. The secondary market is that part of the capital market that deals with the securities that are already issued in the primary market. The investors who purchase the newly issued securities in the primary market sell them in the secondary market. The secondary market needs to be transparent and highly liquid in nature as it deals with the already issued securities. In the secondary market, the value of a particular stock also varies from that of the face value. The resale value of the securities in the secondary market is dependent on the fluctuating interest rates. 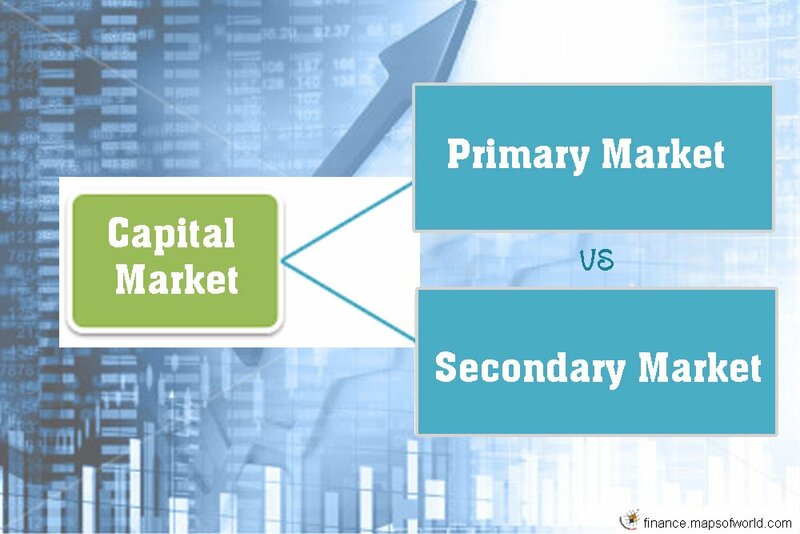 Primary vs. secondary market says that the primary market deals with the newly issued securities while the secondary market deals with already traded securities. When the companies issue securities in the primary market, they collect funds directly from the investors through the securities sales. But, in the secondary market the money earned from selling a security does not go to the company. The money thus earned goes to the investor who sells the security.